A Johns Creek, Georgia obstetrician, also serving the Alpharetta area, is specialized in all things pertaining to . Dr. Dori Kasparek and Dr. Supriya Rao, from Complete Women’s Healthcare, have years of experience offering the proper prenatal care to a variety of patients. She can offer helpful information that will guide her patients throughout their entire pregnancy. This type of medicine focuses on testing, fetal development, and high-risk pregnancy. They also can help individuals with fertility problems too. A good obstetrician realizes that they have two patients: the mother and the baby. 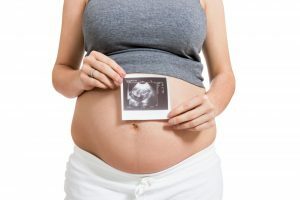 An expectant mother’s health throughout her pregnancy should be monitored by a Johns Creek, Georgia, obstetricians such as Dr. Initial blood tests will be taken with proper prenatal care. Some of the tests include BC to check for anemia, blood type test, antibody screen to make sure that no irregular antibodies will harm the developing fetus, pap smear, STD cultures as well as thyroid function or other virus checks. The growth and development of the baby are regularly monitored with ultrasonography (ultrasounds). These visuals of the fetus in the womb are performed in order to diagnosed any prenatal complications that may require the expertise of a neonatalogist, newborn specialist. This helps to ensure the health of every baby. As labor progresses, the obstetrician will discuss the surgical procedures associated with delivery and help decide the proper approach for each and every patient. From pregnancy to childbirth itself, an obstetrician focuses on proper prenatal care and pregnancy support to make sure that the health of the mother and child is never compromised. Ultimately, the sooner you start prenatal care, the better. Any issues with your pregnancy can be spotted and treated early, leading to a more successful chance of resolving them without problems. For more information on proper prenatal care, schedule an appointment with our Johns Creek, Georgia, obstetrician, Dr. Kasparek or Dr. Supria Rao, serving the Alpharetta area, by calling 770-622-9810 today.